Right now I’m on the hunt for some new bedside tables. While browsing some stores online, I read a description for one design that was “Scandinavian style with an Art Deco twist”. At first I scoffed at the seemingly random mix of words but then I realised it was the ideal way to describe my take on styling at the moment – the perfect way to incorporate luxe vintage accents with a minimalist aesthetic. How did they know? So now I have decided that “Scandinavian style with an Art Deco twist” is going to be my jam. Whether this will make shopping for home decor harder or easier is yet to be seen. My bedside table checklist right now mainly consists of something in a timber finish with clean lines. 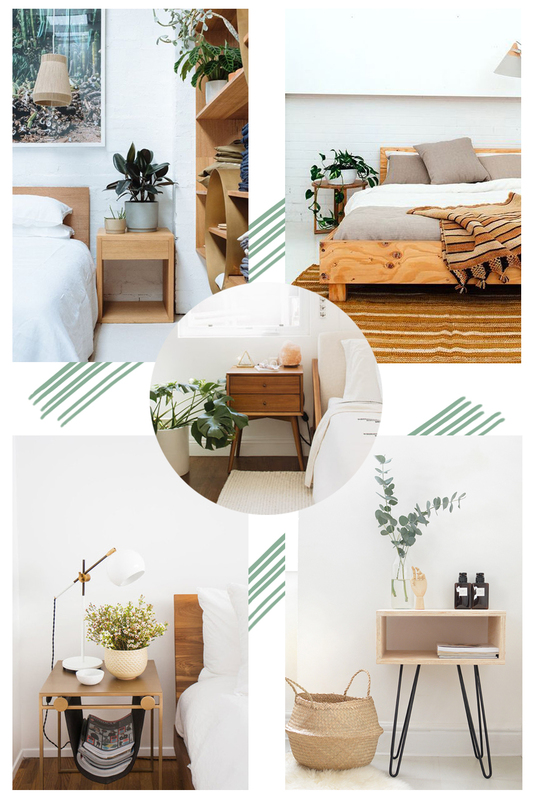 Add some bedside greenery and boom: #decorgoals. These are some images that I’ve been looking to for inspiration. If you have any hot tips for similar bedside tables please let me know! It is a tiresome job to find a bedside table online, so I would suggest you to navigate through aristeia.com.au and choose the best one as per your budget.